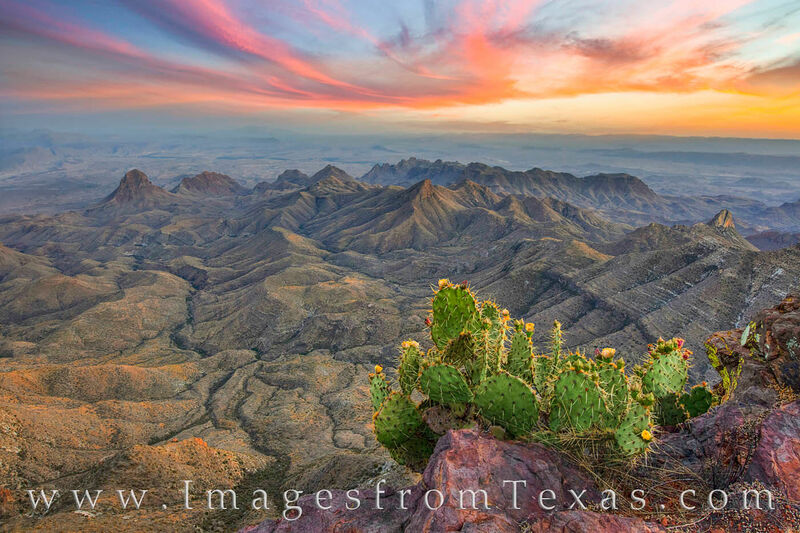 This view of the southern Chisos Mountain Range in Big Bend National Park comes from the South Rim. As one of the best hikes in Texas, the trek to reach this point is a little over 6 miles, and to capture an image at sunset or sunrise at this location means you either camp or hike in the dark. But the effort is worth it as the landscape that stretches from Texas into Mexico is well worth the effort. Here, a prickly pear blooms in late spring as clouds light up with another beautiful Texas sunset. Photo © copyright by Rob Greebon.